We have our first podcast guest, y’all! This week on the show, Tracey and I welcome our friend, fitness coach and nutrition expert Liz Winters, to talk about all things food, mindful eating, and how to negotiate with a Reese’s Peanut Butter Cup. Liz is a nutritional therapy practitioner and crossfit coach in here in Portland, and runs her own private nutrition practice and small group training practice, Sprout Wellness, where she educates and empowers people to improve their overall health through movement, nutrition, and realistic lifestyle shifts. This conversation was so much fun to have, and Liz offers a ton of useful insights into cultivating a healthier, more sustainable relationship with food. Along the way, Tracey discusses her experience as a client of Liz’s and what it has been like for her to eliminate sugar from her diet. We also explore shame as it relates to food, learning how to enjoy eating, and why Liz always has her clients identify the underlying motivation behind any body composition goals before working with them in that capacity. We laugh a lot in this episode and hope you enjoy this discussion as much as we did. Please note that the microphone did not pick up Liz’s voice quite as clearly as it did mine and Tracey’s, so please bear with us through a few sections during which she is a little bit challenging to hear. Thanks for listening! And if you love this episode, please consider leaving us a 5-star rating in iTunes! We’d really appreciate it! 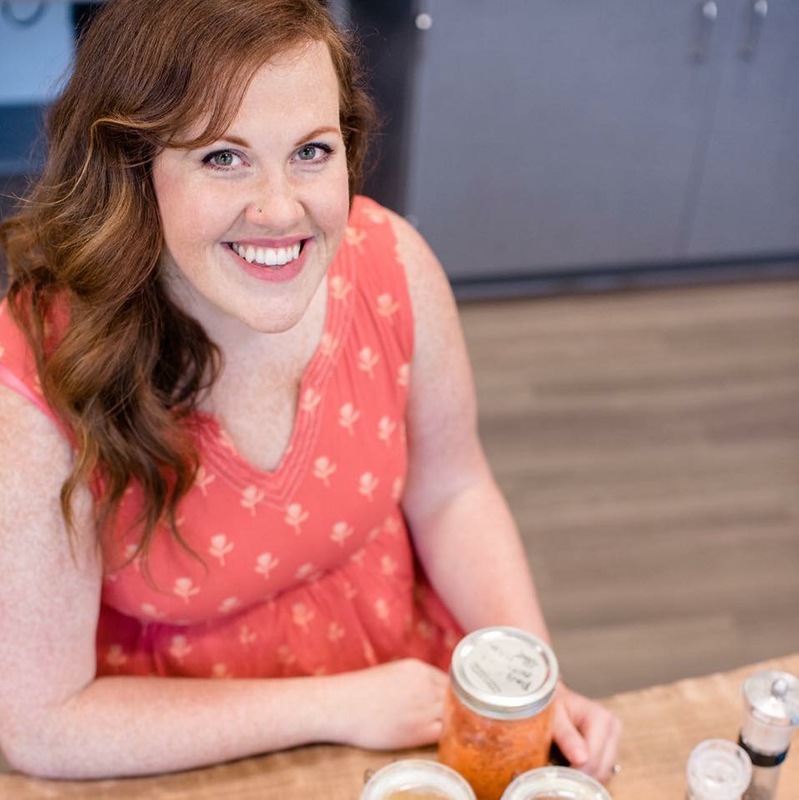 Who is Liz Winters of Sprout Wellness? Do men seek out nutritional support as well? What has Liz’s experience been working with men in this capacity? How does Liz work with clients who are following a vegetarian diet? Is there one diet that works for everyone? Can you mindfully eat a Reeses Peanut Butter Cup? Where does digestion start? And how does stress around food affect your body’s ability to absorb nutrients properly? Want to take a class with Liz? (Do it! Do it!) Her Sprout Foundations Summer Series is a 6-week small group nutrition support group meeting Wednesdays at 6pm July 5 through August 9 at Kenton Wellness Cooperative. Go here for the deets and to sign up. LUNA is back again this week. Because I have a soft spot for her and desperately want to find her a home. As a reminder, she is a 7 year-old maltese/shih tzu mix weighing in at 12 pounds. Luna is completely blind and recently had both eyes removed. She’s an amazing little creature who does great in new environments given the opportunity to get acclimated first. Please, please help us find her a home. Tell your friends! Spread the word! Thank you, thank you! And, finally, if you’d like to support the Pixie Project but aren’t able to adopt an animal at this time, visit Fetch Eyewear in NW Portland to purchase your next pair of glasses. They donate all profits to the Pixie Project, which is pretty rad, if you ask me. As always, sharing is caring, so please share this episode with a friend! And then go subscribe in iTunes and leave us a 5-star review. Your support is appreciated!